Summer season always offers a large selection of berries, so there is no logical reason not to eat them every day. 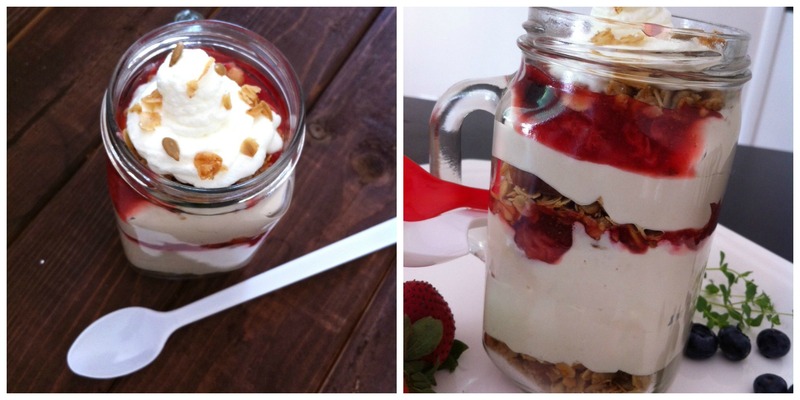 This parfait is the perfect summer dessert or snack. I used strawberries and blueberries, but you can add raspberries, blackberries and even cherries. The berries add color and a bright, summery flavor while the cream cheese/yogurt/whipped cream mixture and granola add sweetness and depth. 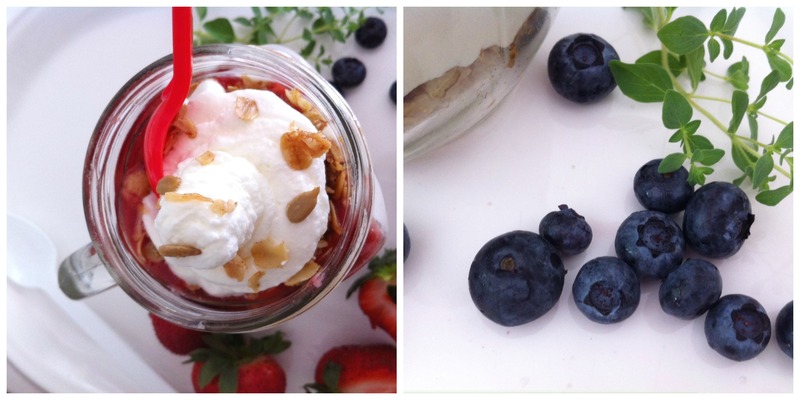 Simple and delicious, this parfait is a wonderful way to highlight all of those tasty summer berries. Stir together and bake at 325 degrees for 20 minutes. 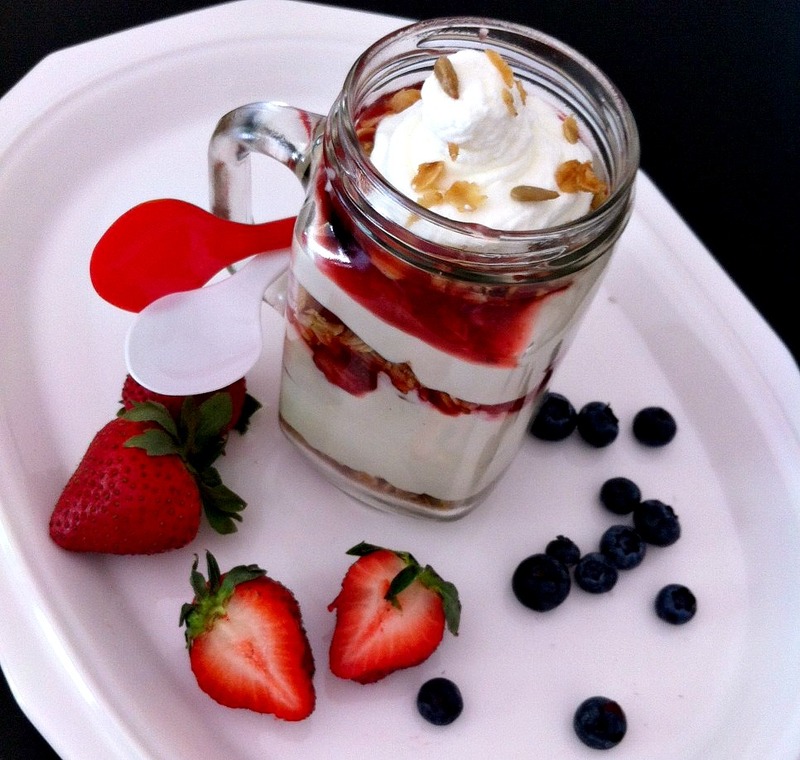 In a small pot combine sliced strawberries and blueberries with one tablespoon sugar. Cook on low temperature until berries are soft. Combine cornstarch and water and add it to the berries. Set the sauce aside and let it cool. Beat cream cheese until smooth. Add the yogurt, vanilla and confectioners’ sugar and beat until combined. In another bowl, whip the cream until stiff peaks form. Fold into the cream cheese mixture. 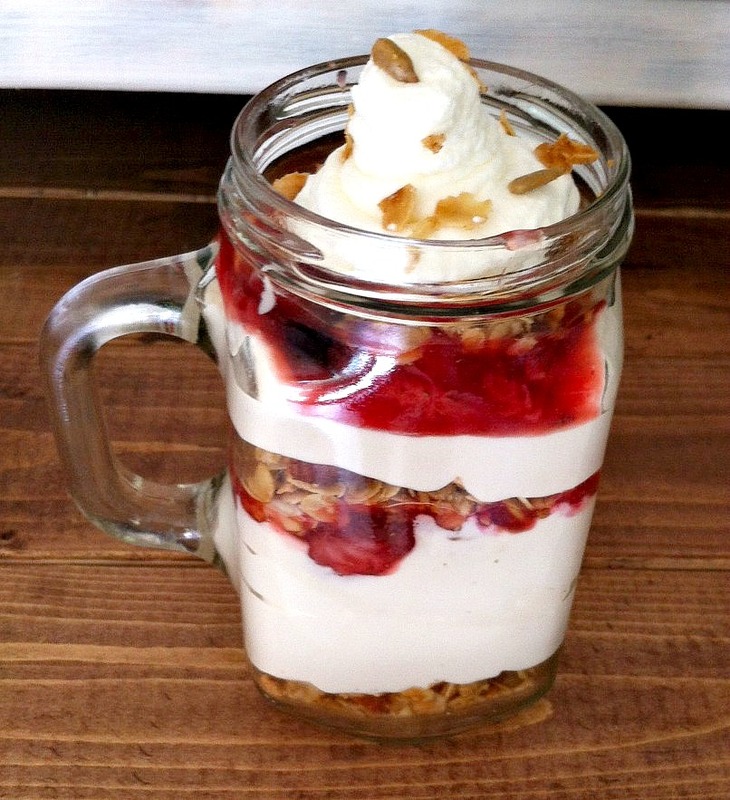 Place about a tablespoon of granola in the bottom of your glass. 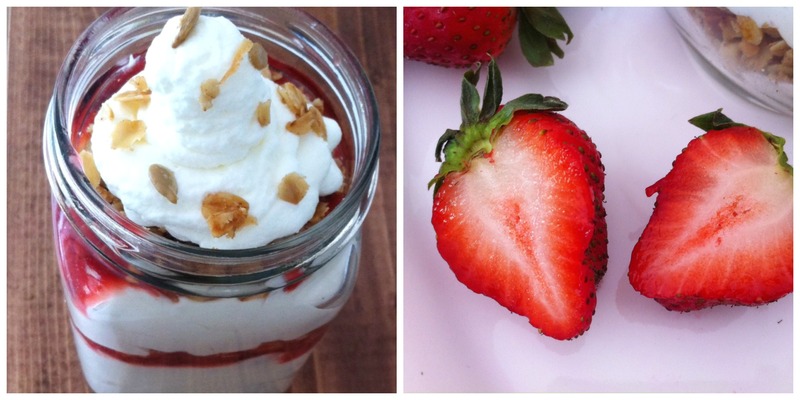 Layer some of the cheesecake filling, then some strawberry sauce and sprinkle some more granola on top. Repeat layers and top with whipped cream. Refrigerate until ready to serve. 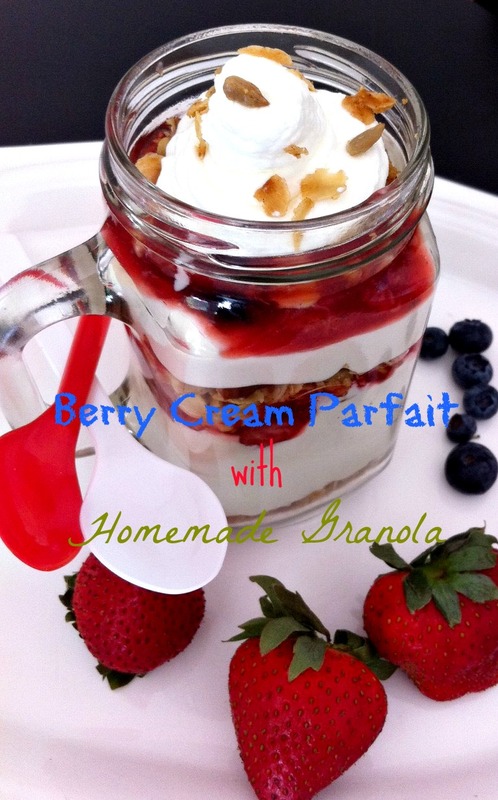 Makes 4 large parfaits or 6 smaller ones. Looks fantastic! Thanks for sharing with the Merry Monday Linky Party! Thanks, Nicole for stopping by and for commenting on my post. Have a great day! Yummy! My children would think this is an awesome snack. Thanks, Ashley. It really is good… we’re kinda obsessed with it right now. These were SO good! So sweet and yet still refreshing.